IL GIORNALE about DINN! - Dinn! Italian journalist Ms. Anna Muzio, after joining the inauguration of Bank of Georgia Wealth Management new concept made by DINN! 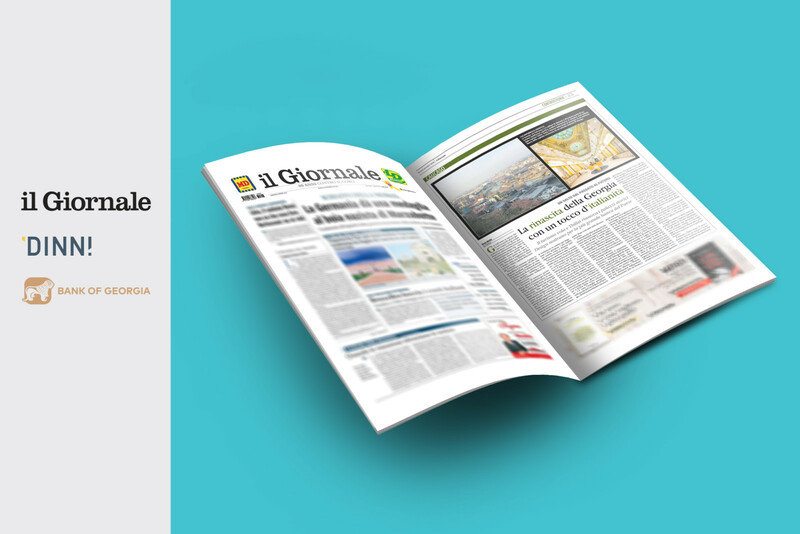 in Tbilisi, dedicated a special article about the renaissance of whole Georgia “with an Italian touch” on our national newspaper Il Giornale on Friday, 22th March 2019. “Bank of Georgia opened a historical branch inside a Liberty building from the early twentieth century. The Italian strategic firm DINN! redefined the positioning, the design and the customer experience while the technical development of the concept has been realized by BUILT (the engineering part of DINN! group).